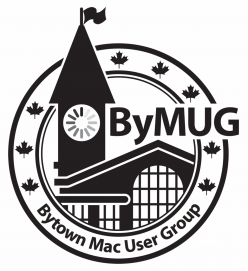 When the happenings for an upcoming ByMUG meeting are finalized, they will be posted here for everyone to view. A few days after each ByMUG meeting, the notes taken and compiled will be posted and a link will be provided to access them. iPhone and iPad app roundtable. Tom discussed the MacHeist deal and briefly covered all the applications. Rock showed the power of Apple’s Keynote for presentations. Tracey introduced Apple’s Numbers, part of iWork. Rock demoed Hazel by Noodlesoft, who graciously donated a free copy and offered a discount for those in attendance. Start of the Bytown Mac Users Group on Apple’s 30th anniversary.